On February 22, 2018, Penn Foundation hosted a luncheon to celebrate the dedicated service of more than 40 of its employees. Celebrated for 30 years of service was Debra Ryan, Director of Community Outreach (center). 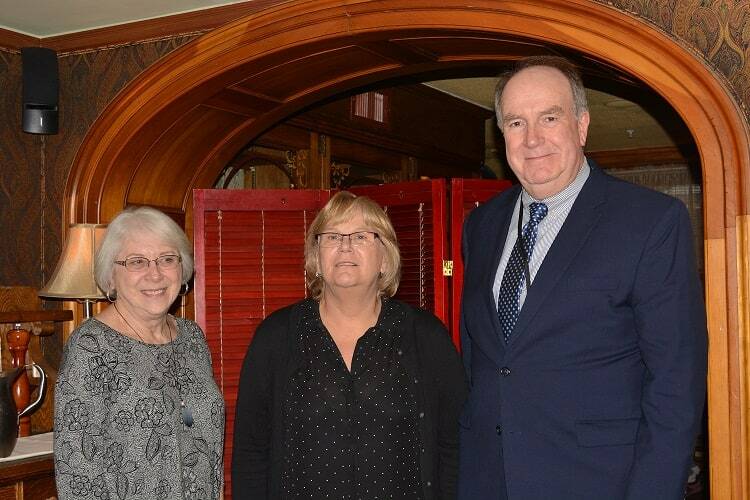 She is pictured with Board Chair Margaret Zook and President and CEO Wayne Mugrauer. Celebrated for 25 years of service was Deborah Stevenson, Director of Intellectual Disabilities Supports Coordination. 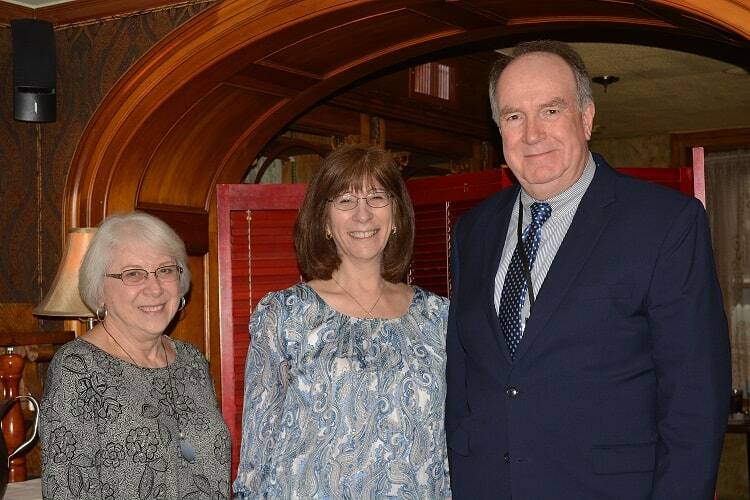 She is pictured with Board Chair Margaret Zook and President and CEO Wayne Mugrauer. 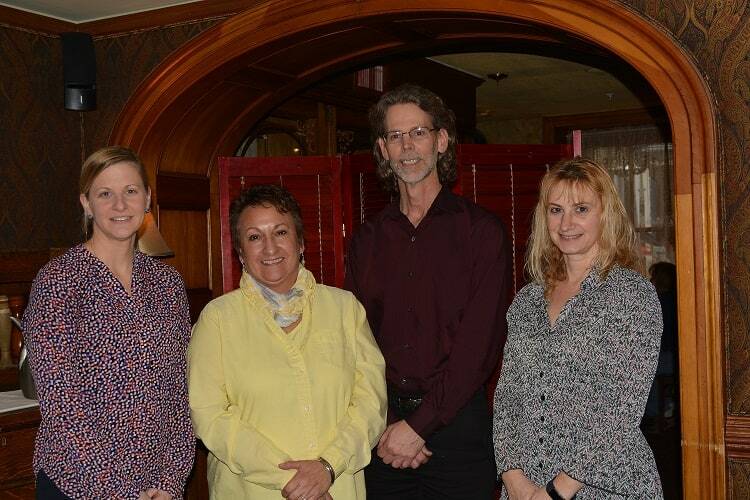 Celebrated for 20 years of service were Debra Springer (Family Autism Center), Marie Evans (Wellspring Clubhouse), John Ruppert (Village of Hope), and Valerie Yoder (Business Office). 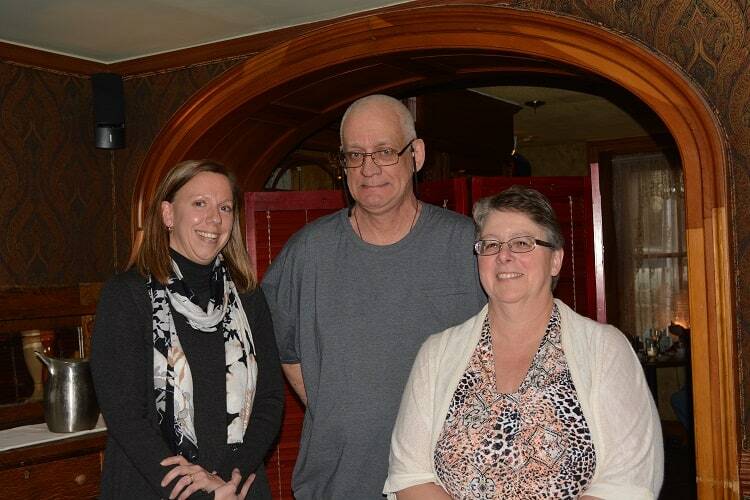 Celebrated for 15 years of service were Melissa Rothenberger (Intellectual Disabilities Supports Coordination), Ed Kordelski (Village of Hope), and Shyrl Rest (Business Office). 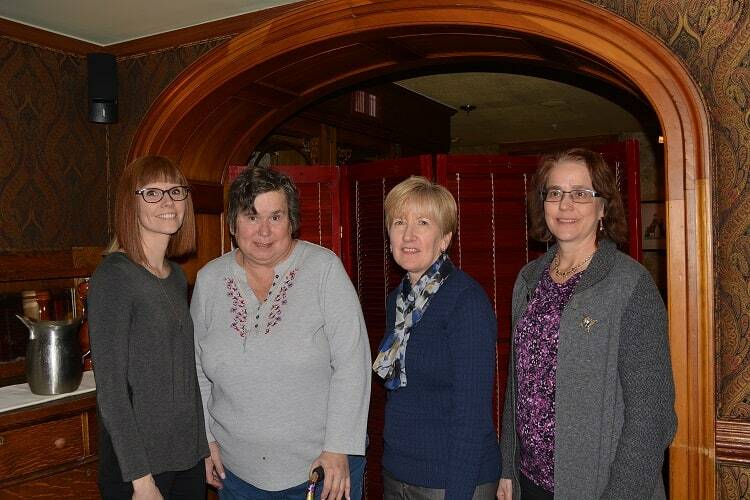 Celebrated for 10 years of service were Sara Dobson (REACH), Liz Hansen (Residential Services), Kathleen Ruth (Human Resources), and MaryLynne Black (Mental Health Outpatient). Celebrated for 5 years of service were (front row) Polly Lofland (Mental Health Outpatient), Betty Session (Residential Services), Melissa Rice (Wrap Around), Bill Roth (Mental Health Outpatient), Nicole Trovinger (Early Intervention), Jeanette Romano (Intellectual Disabilities Supports Coordinaton), (back row) Beth Dieter (Mental Health Outpatient), Gertrude Strickland (Village of Hope), Grace Raynor (Village of Hope), Michelle Rampulla (REACH), Amy Fuqua (Business Office), Joan Labosh (Business Office), Laura Rush (Recovery Center), Ryan Hickox (Mental Health Outpatient), Sondra Pyrz (Advancement), and TaLisha Kouakou (Wrap Around).